The Rosary school offers a range of sports and activity clubs before and after school. These clubs give students the opportunity to train and apply their skills in a competitive but friendly environment. 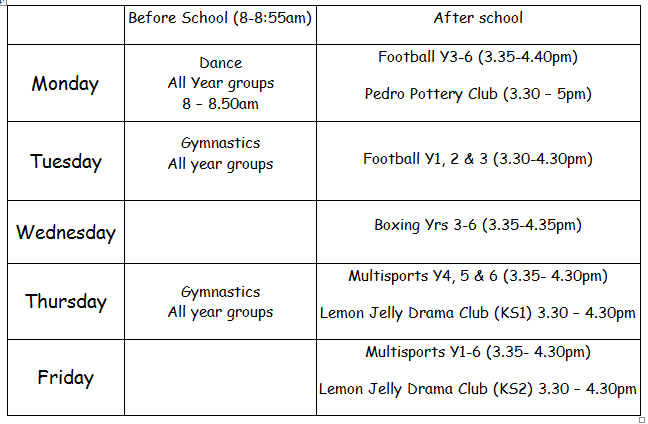 If you are interested in finding out more about any of these clubs, please contact the school office on 020 7794 6292. We also have a very exciting French Club. Click here for more information.